One of the latest additions to the Ubud Culinary scene is the Lumbung Restaurant at Ubud’s Desa Visesa Resort. by the surrounding tropical greenery, earthen elements of woven rattan and outstanding Balinese carvings. 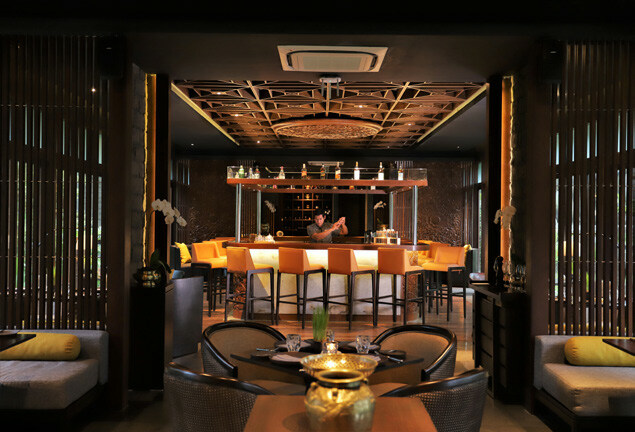 The team at Lumbung Restaurant is guided by Chef Mandif Warokka who has created a wide-ranging menu of selected authentic Indonesian food, which guarantees to spoil every diner’s palette. For an appetiser you might like to try the tasty and refreshing Gohu Tuna Maluku consisting of fresh tuna, ginger, tomato, shallots, chilli, kalamansi and kemangi. 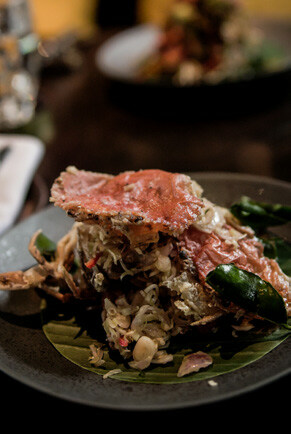 Moving on to the main course you can share there is the Kepiting Soka Sambal Matah, another delightful dish of deep-fried, soft shell crab served with the very popular Balinese sambal matah. Lapis legit with coconut ice cream is a wonderful way of completing a lovely meal. This is an Indonesian layer cake, soft and not too sweet which, when combined with the ice cream, has flavours that just burst into your mouth. 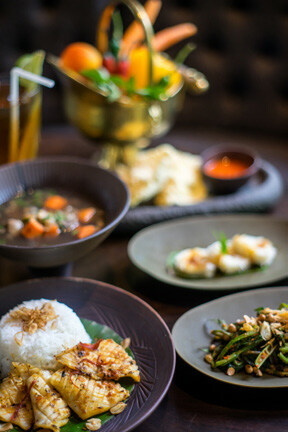 Open daily for lunch and dinner, Lumbung Restaurant really should be on your list of places to visit in Ubud.